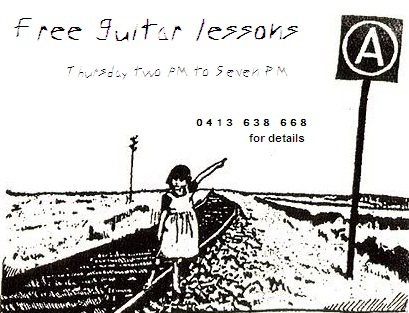 Jase is offering casual guitar lessons to whoever turns up to Jura books between 2pm and 7pm Thursday. Beginners to intermediates welcome. Willing to exchange services if you have something to offer though not necessary. Call 0413 638 668 for more details. Visit the Jura stall at the MCA zine fair, and help us give away hundreds of copies of Mutiny Zine! Sell, buy or swap zines, listen to live bands and enjoy free guided tours of the exhibitions. Anarchist punk band from France, Chicken's Call will be touring Australia and Aotearoa for the first time this April. > 7pm, Sat 24th April at Jura Books. Supporting them at their Jura Books show will be local bands: Cap a Capo, Slogan Free Youth and No Such Luck.